Years ago, all long distance calls were pretty expensive. 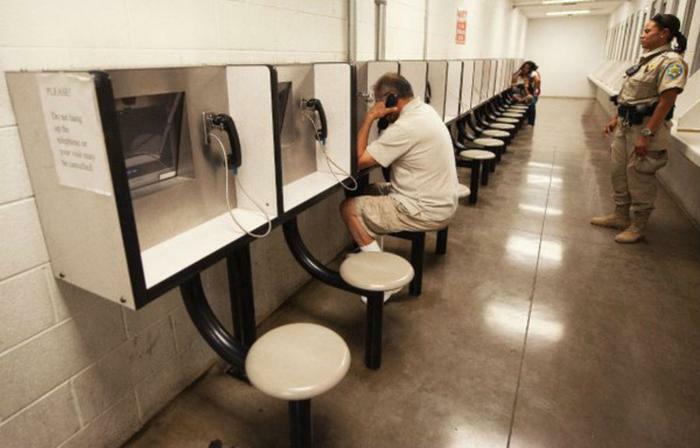 Today, with cellular proliferation and unlimited talk plans, only calls from prison are still pricey. In fact, calls placed by inmates from prison can get incredibly expensive, so prison reform advocates persuaded the Federal Communications Commission (FCC) to rein them in by placing caps on what telephone service companies can charge. Now, a federal appeals court has ruled the FCC went too far, exceeding its authority. The U.S. Court of Appeals for the District of Columbia has struck down those caps. FCC Commissioner Mignon Clyburn, an Obama administration appointee who strongly backed the caps, is disappointed. The issue before the court was whether the federal agency had the authority to regulate the price of in-state telephone calls. The three-judge panel voted 2-1 that it did not, even though the justices acknowledged "extraordinarily high" rates and a general lack of competition to provide these services. In many situations, jails and prisons work with private telephone companies to establish accounts to pay for inmate telephone calls. Inmate family members deposit money into the accounts to pay for the calls, and sometimes the institution takes a cut. Prison reform advocates have long attacked the practice as exploiting what is literally a captive audience. “I remain committed to doing everything I can from working with my colleagues at the Commission, to supporting the efforts of Congress and those in the states to bring relief to millions who continue to suffer from the greatest form of regulatory injustice I have seen in my 18 years as a regulator in the communications space,” Clyburn said. Global Tel*Link, the telephone company that sued to overturn the FCC caps, provides this telephone service to many prisons and jails. Consumers posting reviews of the service at ConsumerAffairs have noted not just the cost of the calls, but the quality of the service. "I've been using their services for four months now and calls would drop after four to five minutes of talking and they would charge for the whole 20 minutes, Kate, of Oklahoma City, wrote in a post.